The main organization of ethnosport in the world is the "World Ethnosport" Society, it was created and registered in 2012 in Montreal, Canada. The founding president is the ethnosport theory autor, the Russian scientist Alexey Kylasov. In 2018, the "World Ethnosport" Society became an observer in the Permanent Consultative Council of the Intergovernmental Committee for Physical Education and Sport (CIGEPS) of UNESCO. "World Ethnosport" Society recognizes that the development of traditional sports and games in modernity is part of the "Sport for All" movement and cooperates with TAFISA. President of World Ethnosport Alexey Kylasov held an official meeting with the coordinator of the UNESCO / Tencent Open Digital Library on Traditional Games Project Mrs. Qingyi Zeng, UNESCO Beijing National Professional Officer Communication and Information Sector. President of the World Ethnosport Alexey Kylasov took part in the meeting of UNESCO experts on the theme “Traditional Sports and Games Interactive Atlas of Cultural Interactions along the Silk Roads”, which took place on December 4-5, 2018 in Ashgabat, Turkmenistan. World Ethnosport has become a member of the General Association of Asia-Pacific Sports Federations (GAAPSF). 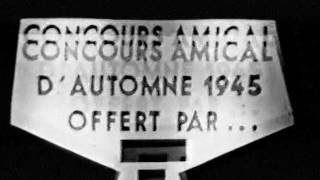 Chronicle from the archives of amateur film shooting 1950/1975 (1st series) playing in balls (boules) in the Paris club. TVC report from the VIII Traditional Wrestling Festival of the peoples of Russia, which took place at the Yarygin Wrestling Palace. 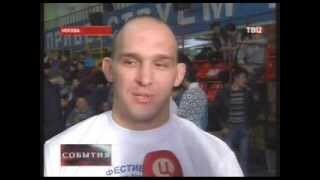 Intervew of multiple winner of Russian traditional wrestling za-vorotok Maxim Neganov.